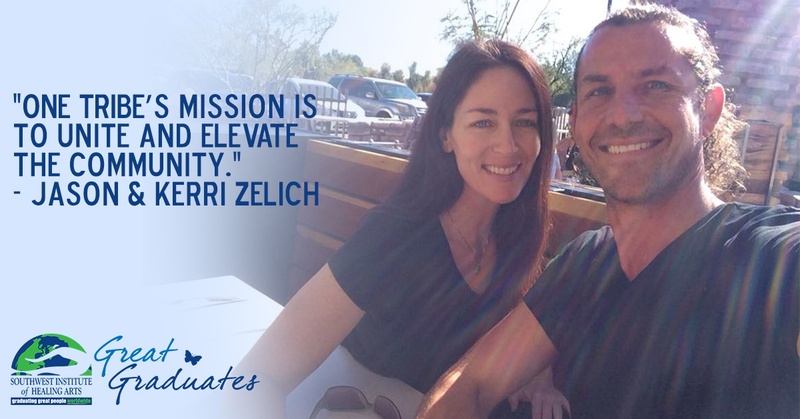 Together, Kerri and Jason decided to make the move to Tempe, Arizona to fulfill Kerri’s dream to study therapeutic massage and energy work at SWIHA. 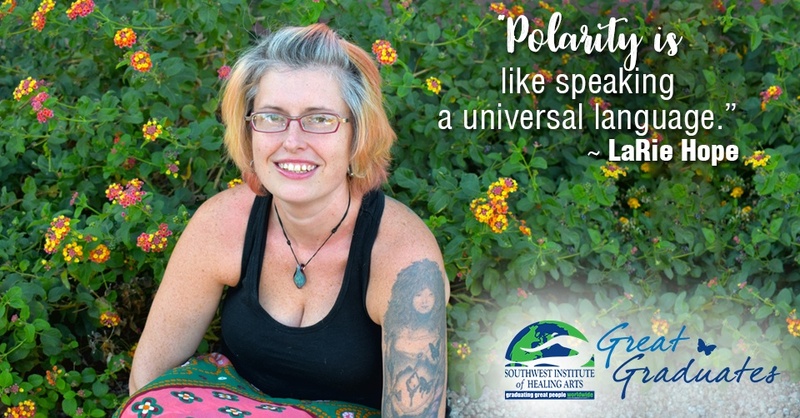 She graduated with her degree—as well as certifications as a Master Massage and Bodywork Practitioner, a Registered Polarity Practitioner, and a Cranial-Sacral Practitioner—a mere two years later. 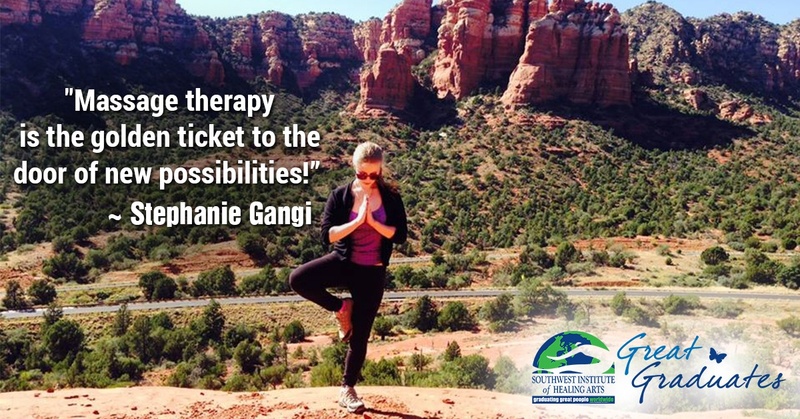 Motivated by Kerri’s commitment to promoting health and vitality, as well as his own background in the world of sports injuries, Jason followed suit shortly thereafter and enrolled in SWIHA’s 750 Hour Massage Therapy Program. After a three-way car accident left her with a severe heart arrhythmia, anxiety, panic attacks, and depression. Stephanie was determined to eliminate the source of the emotional and physical chaos within her life. Although she had long been fascinated with the inner workings of the mind and the way that it dictates human behavior—even graduating in 2012 with bachelor’s degree in Psychology from Arizona State University—she felt that an intellectual approach was simply not comprehensive enough to resolve her distress. It has been a long road to get to where Tim Barber is today. 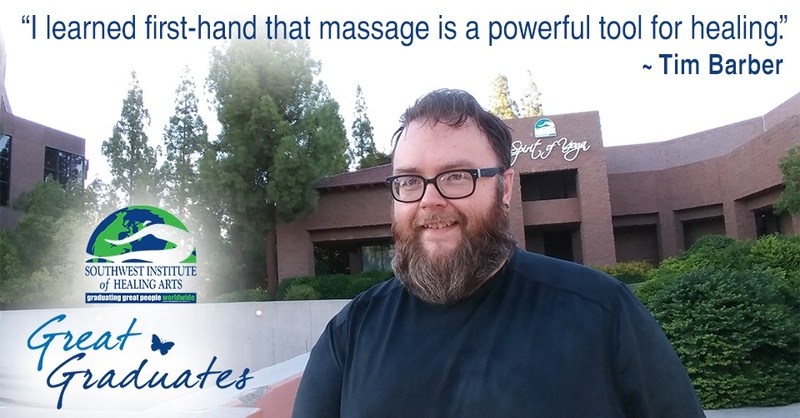 By his account, that amounts to somewhere around 2,300 miles and 15 years since the graduate of SWIHA’s 1000-hour Master Massage Practitioner and 200-hour Yoga Teacher Training program first realized that he wanted to become a Licensed Massage Therapist. Tim spent most of his life in New York. No, not that New York. “Everyone always assumes I mean New York City when I tell them where I am from, which couldn’t be further from the truth,” he laughs. Born and raised in the Central New York region, most of his life was spent surrounded by forests and water— not skyscrapers. Houses were often a half-mile to a mile apart. The town he grew up in was so small that there wasn’t even a four-way stop in it. His graduating class consisted of about 60 people. A trip to the mall would take about 45 minutes of driving to get there. The nightlife in his town consisted of crickets and lightning bugs. No, it definitely was not THAT New York.